Individual coffee pleasure as you desire for. Perceive real variety with CAFFEO® Gourmet fulfilling highest expectactions and personal indulgence moments. No matter whether a strong coffee in the morning, an aromatic espresso at lunchtime or a frothy latte macchiato in between - variety is always guaranteed. 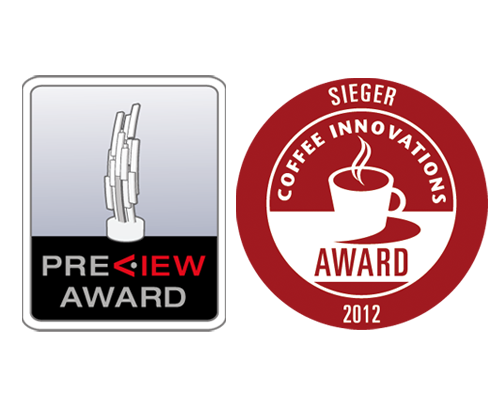 The IFA Preview Award goes to extraordinary innovative and design-oriented products. The two-chamber bean container and the easy and individual preparation process of the different coffee specialities are some features which have convinced the judging panel to award CAFFEO® Gourmet in 2011. For the perfect preparation of various coffee specialities CAFFEO® Gourmet is equipped with the exclusive 2-chamber bean container "Bean Select" . Coffee lovers can choose easily before preparation e.g. between mild coffee beans or strong espresso beans. 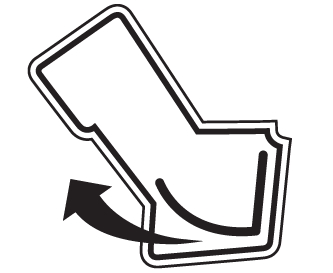 With the integrated ground coffee chute there is also the possibility of using pre-ground coffee. With CAFFEO® Gourmet you can select between 5 different strenghs of coffee for a maximum of indulgence. In addition to "mild", "normal" and "strong" you can even set "extra mild" and "extra strong", depending on your personal preferences. Prepare delicious creamy milk froth with the exclusive steam nozzle "Perfect Cappuccino": the whisk attached to the side of the CAFFEO® Gourmet frothes and heats your desired quantity of milk easily and conveniently directly in the glass. The result is perfect milk froth, which provides a superb base for various coffee specialities. 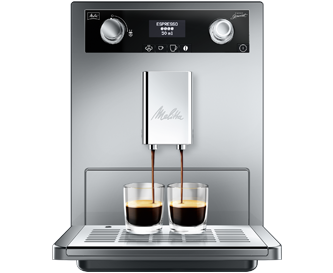 This has been verified by the German consumer test magazine "Guter Rat" (good advice) with the grade "best milk froth" in a comparison with other fully automatic coffee makers. The dishwasher safe whisk is simple to detach and thus hygienic cleaning is very easy in comparison with other milk frothing systems. 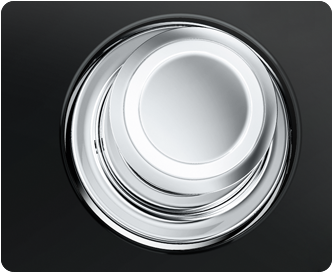 CAFFEO® Gourmet is equipped with an automatic cleaning and descaling programme. 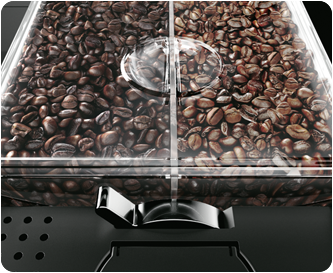 The removable brewing unit always guarantees perfect coffee pleasure. It is easily removable and you can rinse it under running water. So, there cannot remain any coffee deposits, which could have a negative influence on the taste of your coffee. The handling is very easy and intuitive due to the logical menu navigation and the innovative "Rotary Switch" regulator. 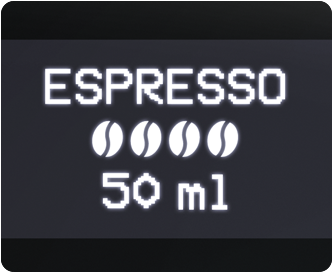 The text display provides you with clear information - from the coffee preparation to the automatic cleaning programme. CAFFEO® Gourmet prepares your coffee at the push of a button, by pushing it twice even two cups at the same time. 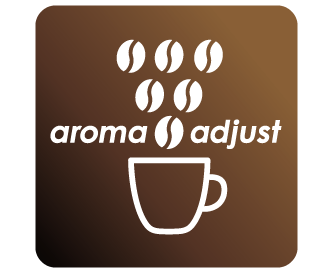 You can preset the standard coffee settings to your individual desires and easily adjust coffee strengh, brewing temperature and coffee quantity. 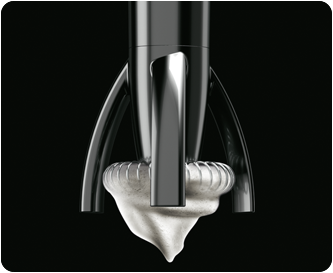 The spout is height-adjustable up to 130 mm. Even big latte macchiato glasses or coffee mugs will have sufficient space below the spout. 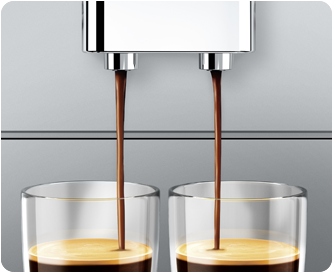 Next to a programmable energy-saving mode CAFFEO® Gourmet is equipped with an Auto OFF function. You can decide, when your fully automatic coffee maker should switch off automatically. Of course, you can switch off the appliance manually with the 0 watt button.